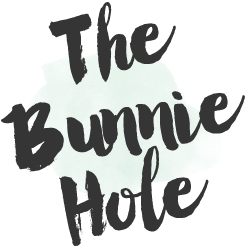 TheBunnieHole | Vancouver Youtuber & Blogger: Rimmel | Colour Precise Eyeliner Pen - bright blue & white ! 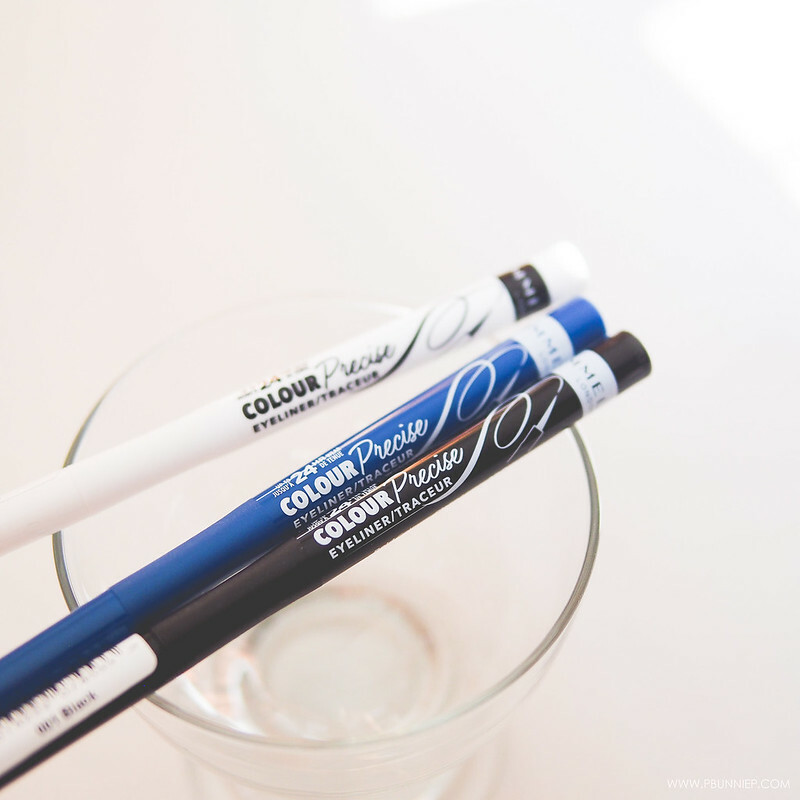 Rimmel | Colour Precise Eyeliner Pen - bright blue & white ! Oh eyeliner. I am forever chasing the next best colour, formula and gadget. 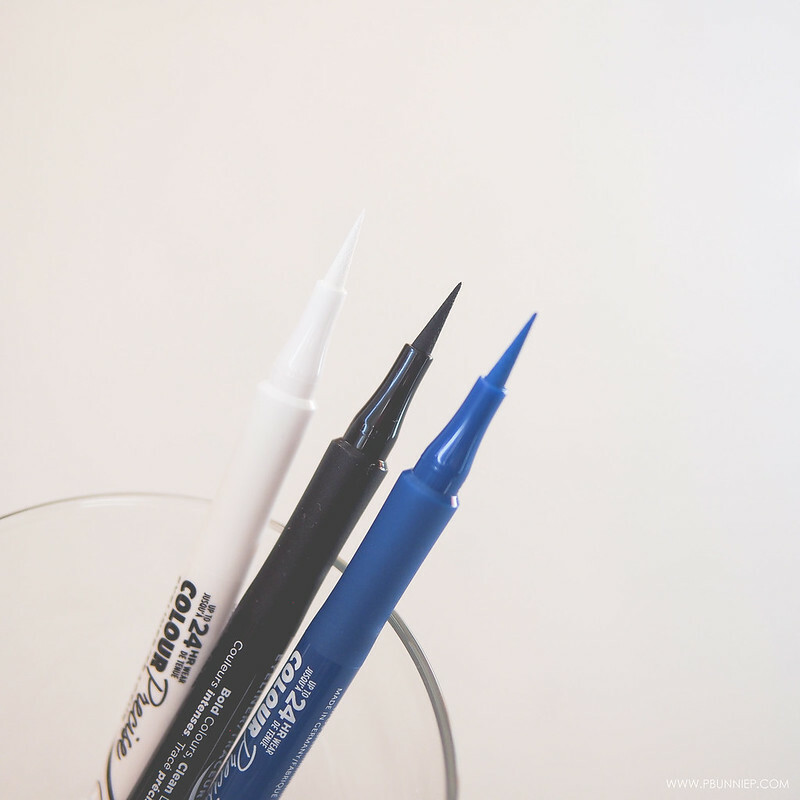 While black (and recently brown) has been my colour of choice, there's no hiding the audible squeal when I saw these new Rimmel liquid liner pens because - brace yourselves - it comes in white! Now that's something you don't see everyday... but how do these really perform? If these remind you of a mix between the Stila Stay All Day liner and the Maybelline Studio Precise liner, you aren't alone. 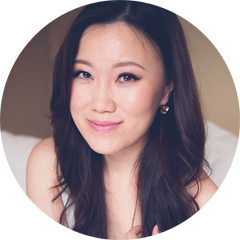 Over the years, the pen format has become my everyday staple because I can do it with one hand plus it fits neat and small into my traveling makeup bag. These Rimmel Colour Precise options features a very long felt tip nib that's well loaded with product from all sides. Medium and thick lines are easy to achieve and I love that the entire tip is flexible right down to the base. The body of the pen itself has an every so slight contoured grip 3/4 way along the barrel for a comfortable grip - a small but welcomed detail! INGREDIENTS: Aqua / Water / Eau, Styrene / Acrylates / Ammonium Methacrylate Copolymer, Methylpropanediol, Kaolin, Poloxamer 407, PPG-70 Tocophereth-100, Coco-Glucoside, Phenoxyethanol, Butylene Glycol, Potassium Sorbate, Sodium Laureth-12 Sulfate, Sodium Benzoate, Citric Acid, Ammonium Hydroxide, Simethicone, Iodopropynyl Butylcarbamate, Steareth-4, BHT, Sorbic Acid, Steareth-20. May Contain: Titanium Dioxide (CI 77891), Ferric Ferrocyanide (CI 77510), Iron Oxides (CI 77491, CI 77492, CI 77499). 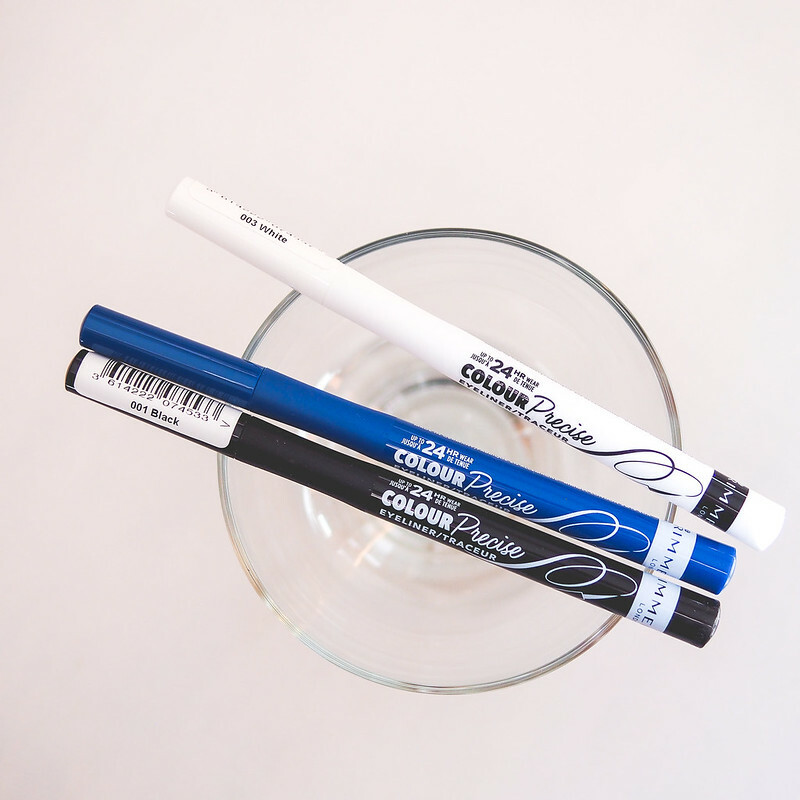 All three colours are generally well pigmented with black being the best coverage in a single swipe and white needing 2-3 tries to build full opacity. The finish has a slight sheen and is not quite glossy nor matte. Annoyingly this is where to problems being. 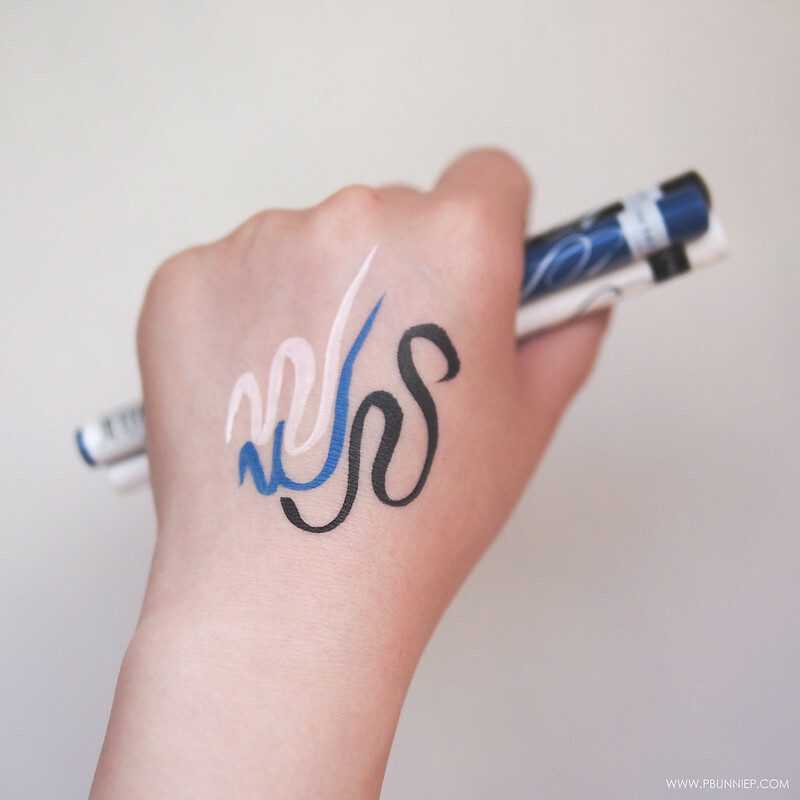 Both the blue and white bleed into the find lines of your skin pretty obviously and it's especially hard to build up the white liner evenly without simply smearing off your first stroke. The formula itself forms a film of colour which although not wet, continues to feel tacky and never seems to completely dry but instead always feeling a little sticky to the touch even minutes after applying. While it claims to have all day wear this is not something I would suggest to anyone with oily eyelids, monolid or hooded eyes who generally have a hard time with liner to begin with. Note that this liner is also not waterproof or even water resistant and will begin to dissolved within a few seconds of getting wet so it's a no-go for hot or humid climates either. But perhaps my biggest concern is the absolutely faulty packaging design. The cap locks to the pen with a very small ridge and doesn't click in like most pen products. It's ridiculously easy to accidentally knock off the cap and now imagine loose liquid eyeliner tumbling in your purse all day. Need I say more? Rimmel's 24HR Colour Precise Eyeliner Pen is a liquid eyeliner that's dispenses beautiful easy strokes with its flexible felt tipped nib. The product looks bright on first application but unfortunately stays tacky to the touch and both the blue and white are hard to build up in opacity. It's lack of dry down and lack of waterproof qualities makes it a bad choice for humid climates. The only colour with some promise is 001 Black as it's rich and smooth but the wear time plus the awfully designed cap are still downfalls. For the price point, it's better to skip this one altogether.